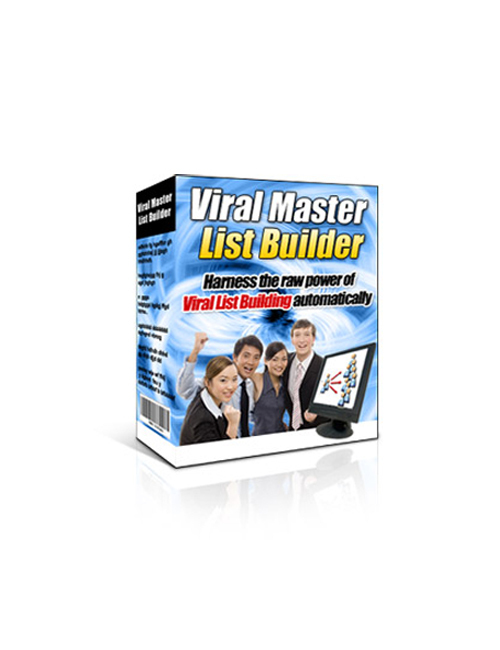 Viral Master List Builder is the software download that gives you the practical information to create your high quality list that’s set to go viral! This automated system shows your step by step how to create your online money stream fast and long term. The more solid and qualified leads you have the better for your online business goals. Increased exposure to your niche target audience is going to help you drive more qualified traffic to your website. This is going to create a snowball effect to increase your rank, strengthen your authority, build your brand, boost your credibility and increase your conversions. All of which helps to drive your profits up quickly. With information is knowledge and with this software download you will have the deep user-friendly knowledge you need to win in business. Viral Master List Builder is the tool that gives you the power to build quality lists to help create your solid income streams faster.